school. He however, also have interest in a couple of businesses that are related to writing. Ayeni is the owner of a PR company called Black House Media (BHM), and he is the founder and publisher of Nigerian Entertainment Today (NET) newspapers Ltd.
Ayeni Adekunle Samuel trained as a Microbiologist at the University of Ibadan. While growing up, He discovered that he could write. He actually grew up in a home where there were two key things; Books and Music. His mother, even though not very educated ( didn't have a university degree), was one of those women who trained to become secretaries, so she did a lot of typing, she understood shorthand and she loved reading. Ayeni used to find her reading Chinua Achebe and other African Writers series. He also had elder siblings who read a lot of books, all the 'Mills & Booms' novels, Pacesetters series and many others. His father was a collector of music. Even while studying micro-biology, Ayeni was reading more on music, literature, media and history and he spent more time gathering information on writing than micro-biology, and by the time he left school it was only natural that he focuses more on what he loves doing the most. Growing up around his parents and siblings exposed Ayeni to a huge amount of literature and music. At some point, he strove to become an actor. Consequently, he attended virtually all the auditions that held but never got a role. At the time Zeb Ejiro was the biggest producer, so one day Ayeni and his friend decided to write their script to try and see if they could make their own movie. That was his first experience at writing and he liked it. From then on, he began writing poems, started writing and finished his own book that same year. He realized that he liked writing more than anything else, so he stopped wanting to be an actor. At some point, Ayeni also started training to become model. So by the time he was going into the university in the year 1999, He already knew he was going to be a writer. So even while studying micro-biology Ayeni was reading more of music, literature, media and history. As a writer, Ayeni Adekunle Samuel writes on subjects he is comfortable with, which includes music. So by the time he started working fully, He was already like an encyclopedia of modern Nigerian music. He could write anything entertainment from the top of his head. He is so attuned with music that if he is asked to do a two-thousand word article on 2face Idibia, He doesn’t need to consult anything or use Google. He is capable of doing so from the top of his head with dates and figures. Ayeni can do anything entertainment effortlessly because that was what he spent ten solid years consuming. So when he was going to start writing it becomes natural that he writes about entertainment and not politics, business or education. It was later on in his career that he thought it wise to expand and so he began taking interest in business and other issues. But primarily it was Showbiz. 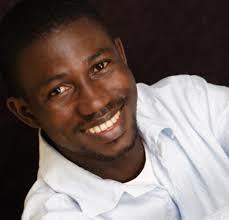 When it was time to get a job, Ayeni Adekunle Samuel worked with Encomium, Thisday, E-Punch, Guardian newspapers etc. Working for Encomium, he knew he wasn't going to be there for too long, he had always wanted to do his own stuff, but needed to gain some experience working for others. But because He wanted to also taste the other side of the print media, He joined Thisday newspaper and finally, Punch. It was after that, he felt it was time for him to start his own newspaper. He then founded the NET and BHM. Ayodele really don’t spend as much time with the NET as he does with BHM. He works for BHM which is a PR company, and is run by very smart and young people. NET came along the line at some point, because if BHM had not succeeded, he probably may not have been able to do NET. NET came up about four years after he founded BHM. But because BHM is a service company working for clients, it stayed more in the background, most people don’t know about it. Its NET the newspaper and the website that happens to be more popular. So apart from making inputs from time to time, Ayeni really don’t work for NET. Ayeni’s intention was to create the number one media solutions company in Nigeria that can help people understand the media so that they can use it to achieve the best result for their businesses. Just like any other business, funding continues to be a big issue for every business in Nigeria. However, Ayeni did not allow himself to be discouraged by the challenge of funds. Another challenge was that of capital, especially human capital. Finding the right people to help one translate his dreams and ideas into reality. Ayeni’s achievements began when he was able to establish these businesses. From the day he kicked off NET, he became very happy. When he registered BHM, he felt happy too. He was able to build a website that have the kind of credibility and respect that NET has today. He has also been able to build a newspaper that circulates nationally, first, from a Bi-weekly to a Weekly. The newspaper is able to command the respect of those it reports. When Ayeni founded his business, the people he approached for fund did not oblige him. This was because he had a business plan, and in that plan, he showed that the business would begin to make money three years after set up and will not make profit until after the end of the fourth year. It also showed that for the first two years the business will experience losses. It was a conservative business plan with cash flow analysis. Today, the business have broken even, and is doing very good, growing day after day. It has secured the trust of the audience which in turn, attract advertisers. The website attracts millions of readers on monthly bases.